Saiu um novo trabalho liderado por Andrea Villa que se debruça sobre osteologia, registo fóssil e paleobiodiversidade de lagartos europeus. O estudo publicado na revista Amphibia-Reptilia e que também contou com a participação do nosso colaborador Emanuel Tschopp confirma, com dados osteológicos, a monofilia do género Lacerta que, em Portugal, inclui o lagarto-de-água Lacerta schreiberi. O sardão, previamente denominado Lacerta lepida, é o outgroup, e com o nome Timon lepidus. Abstract. The capability of palaeontologists to identify fossil remains of a particular group of vertebrates strongly depends on the knowledge they have of its comparative osteology and on the actual presence of diagnostic differences among the considered taxa. 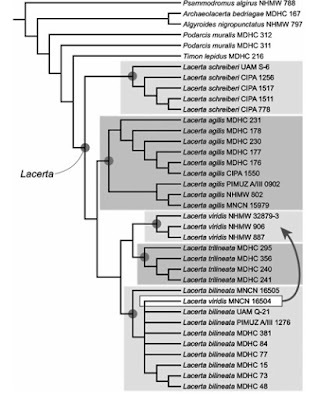 This could have a relevant influence on the study of palaeodiversity, since a low recognisability causes a loss of data when trying to reconstruct the history of taxa that lived on Earth in the past. 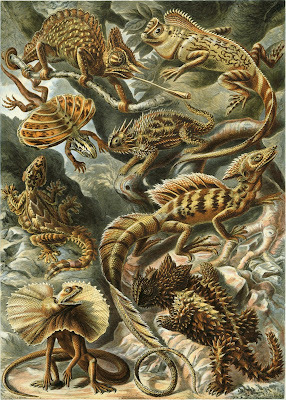 Currently, more than 6000 extant species of lizards and worm lizards are known, and new ones continue to be discovered, mainly based on molecular data. But are we able to recognise this high diversity using osteology? As far as European taxa are concerned, the osteological recognisability of non-snake squamates is very low: only 31% of the extant European taxa can be identified based on their skeletal morphology. 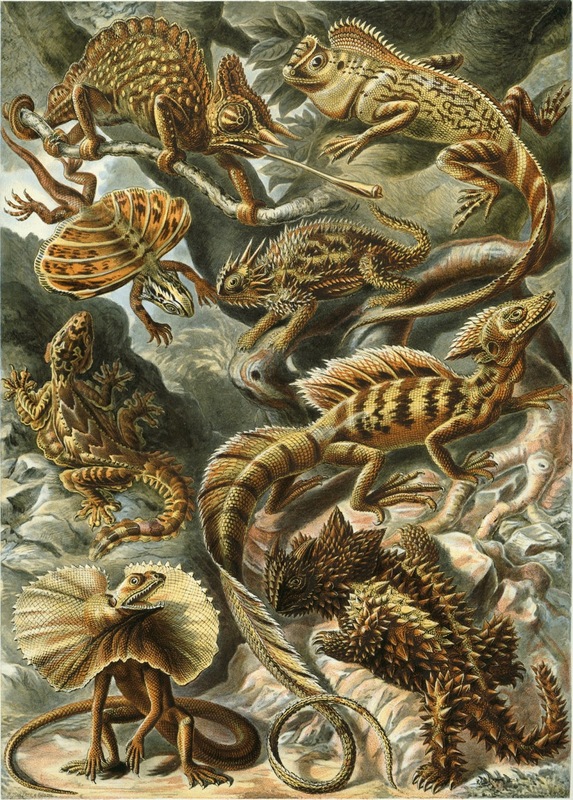 This is balanced partially by the fact that most recognisable taxa have been actually recognised in the fossil record, suggesting that the lost data are mainly due to the scarce knowledge of the comparative osteology of these reptiles and less influenced by other biases, such as taphonomic or collection biases. 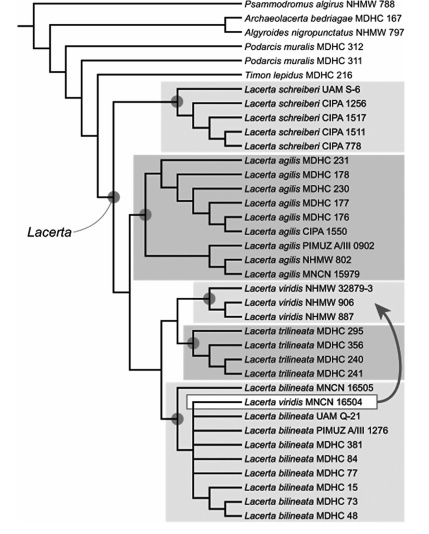 In this context, specimen-level phylogenetic analysis has proved to be a useful tool to identify diagnostic combinations of osteological features, at least for lacertid species, as evidenced by a case study focused on the genus Lacerta.